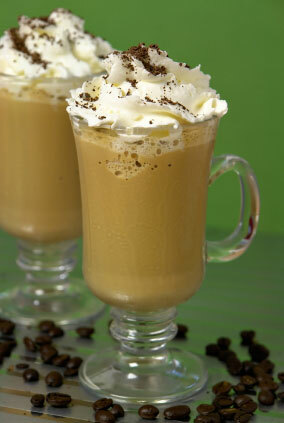 So here is something a little different from my wonderful selection of coffee syrup recipes. This is a refreshing beverage, perfect for a hot day or if you fancy something a little different to your average cup of coffee. I discovered this fantastic creation after buying some chocolate mint syrup, and delving into my freezer to find some ice cream to complement the syrup nicely. A bit of ice, a blender, and an espresso coffee maker, together with the usual milk and coffee, and the Iced Mint Mocha was born. You will also need a blender and ideally an espresso maker for this creation. The Iced Mint Mocha is now my favourite. The refreshing mint and the sweet chocolate make this iced coffee espresso drink a light combo. This is also good as a sundae-style dessert, just add less milk so the mixture is really thick, and then top with whipped cream, chocolate sprinkles and a drizzle of chocolate mint syrup. Coffee syrups are available in a variety of flavours including almond, hazelnut, vanilla and white chocolate. 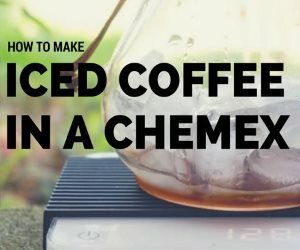 My coffee syrup addiction has continued ever since I started working for a coffee supplier, and I’m not willing to go cold turkey until I have created as many inspiring recipes as possible. Since joining Cafe Rico, Lola has developed a taste for coffee. Although she used to hate it, she now loves her coffee and is a dab hand at creating innovative recipes, especially with coffee syrups as they are her new addiction.